The Grand Theft Auto series began in 1998 and is well-known for its free-roam style of gameplay. Players progress through the storyline by performing main missions and various side missions involving adventure, driving, stealth, and role-playing. 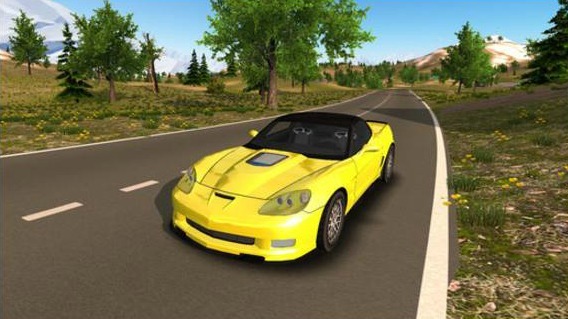 If you’re seeking an open world game like Grand Theft Auto (GTA) to play on your iPhone or iPad because you've finished the series more times than you can count, then you should try this open world driving adventure that we’re about to present to you. We’re talking about an iOS game app designed with realistic simulator and realistic physics, called Offroad 4x4 Car Driving Mountain. The idea of the developer team over at MH Production was to offer its customers a realistic driving experience, presented with amazing graphics and dozens of features, and believe us, they succeeded. Once you try this game, you won’t be able to leave it. It takes you in a huge open world filled with open roads, mountains and forests, where you are able to drive 9 different cars (beautiful city cars, offroad cars, speed cars) and 2 motorbikes. There are 20 challenging levels for you to drive through and tons of places where you can find your missions (the map will help you with this), such as cascade and a lake, a Japanese temple, a small airport, different houses and farms, ruins, a camping place, etc. All you have to do is touch, wheel or tilt your device and let yourself enjoy this awesome driving experience. Download it now for free from the App Store and share it with your friends.